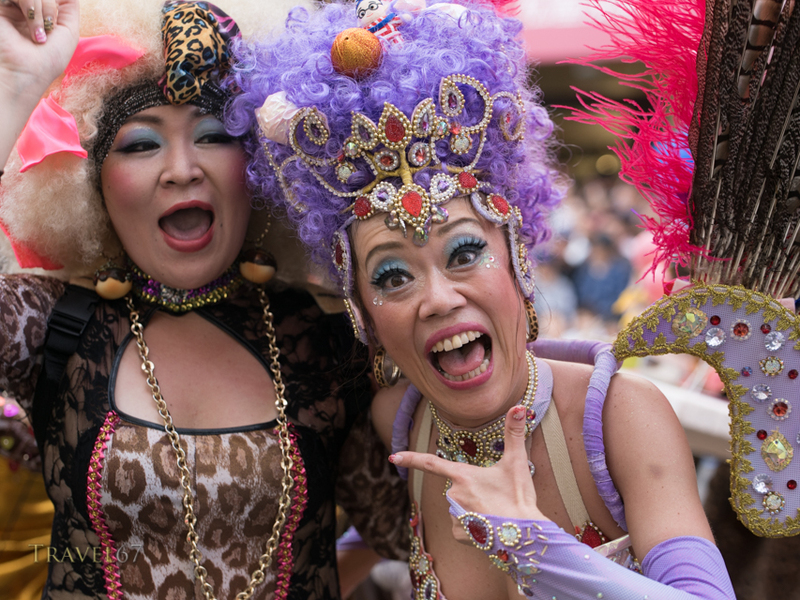 Dancing in the streets at the 33rd Asakusa Samba Festival in Tokyo. 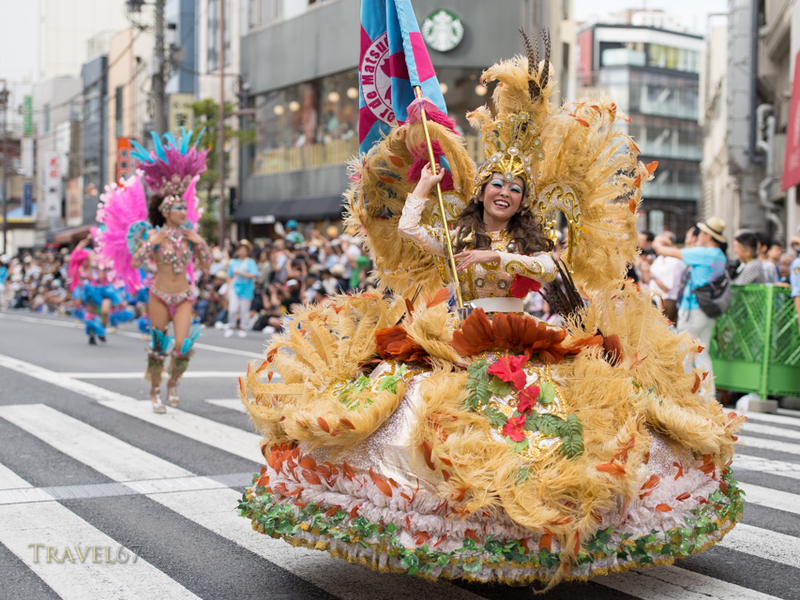 22 teams including local Japanese and Brazilians bring Samba to the roads around Asakusa Shrine. 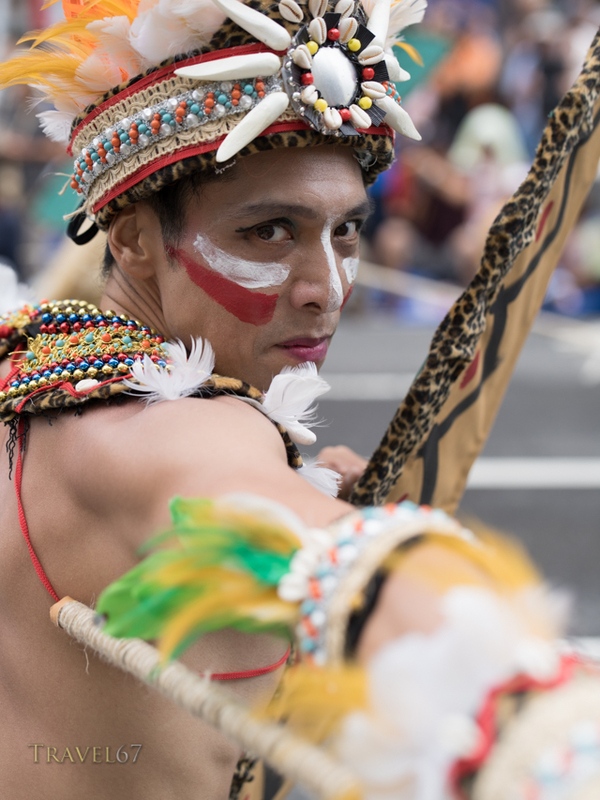 The event is watched by around 500,000 spectators so the streets do get a little crowded. 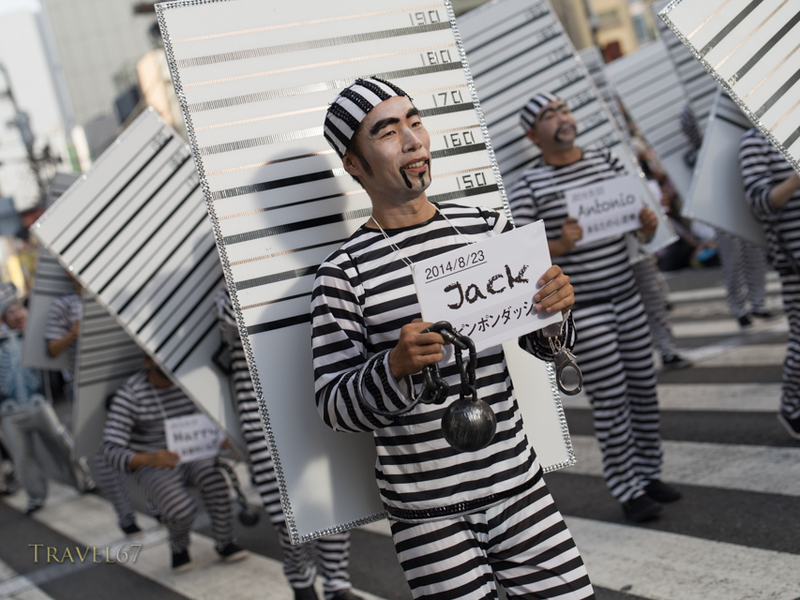 Some participants went with the iconic sparkly Carnival outfits, while others wore costumes more representative of their region in Japan. 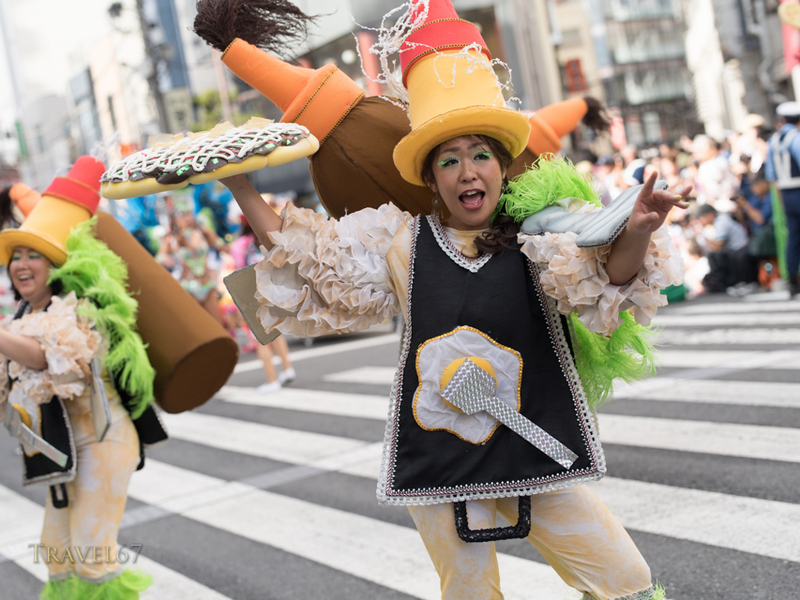 This is why you have dancing okonomiyaki. Overall, a fun event, very different from the traditional religious festivals that I usually cover. Maybe I should start checking out the prices of flights to Rio.